OmniFocus is a personal task manager. But, what if you're working on projects that involve a team of people? OmniFocus is a personal task manager. It’s a tool that allows you to organize objectives and actions tied to your own personal commitments. But what if you’re working on projects that involve working with other people? This session will focus on best practices for using OmniFocus in a collaborative environment and features three popular web-based team solutions (Asana, Basecamp and Trello) as well as Daylite, a business management solution for Mac and iOS. Determining what tasks and projects belong in OmniFocus and what belongs in a shared system. Using collaborative solutions as an alternative to email. Integrating OmniFocus with popular web-based team management solutions, including Asana, Basecamp and Trello. 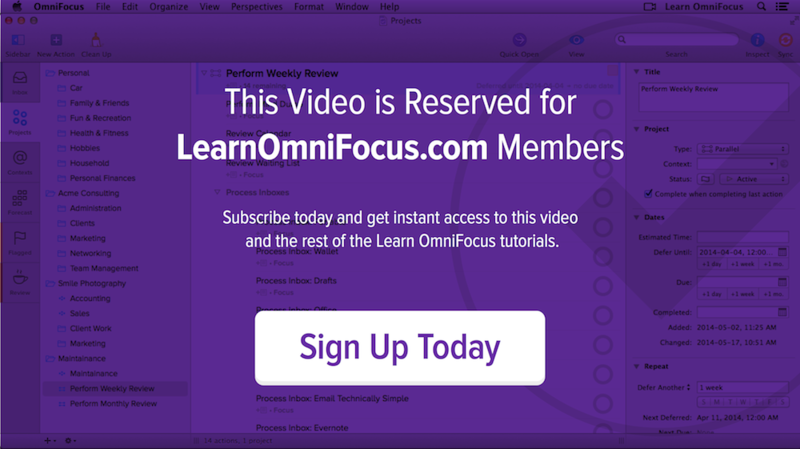 Storing links to OmniFocus projects and actions within collaborative solutions for easy access. Using PopClip for Mac to conveniently trigger links to OmniFocus projects and tasks. Using Zapier to automate the creation of OmniFocus actions. Integrating OmniFocus with Daylite, a CRM (Customer Relationship Management) and Business Management solution for Mac and iOS. OmniFocus Auto-Parser – OmniFocus aficionado Joe Buhlig wrote a clever script that parses the OmniFocus inbox. This is especially convenient when combined with Zapier. For example, it makes it possible to create a Zap that results in an OmniFocus action being added to a specific project, complete with a context, due date and flag state. Check out Joe's blog post, that covers how to automatically trigger the script in a variety of ways. The script itself is available on his GitHub Repository.